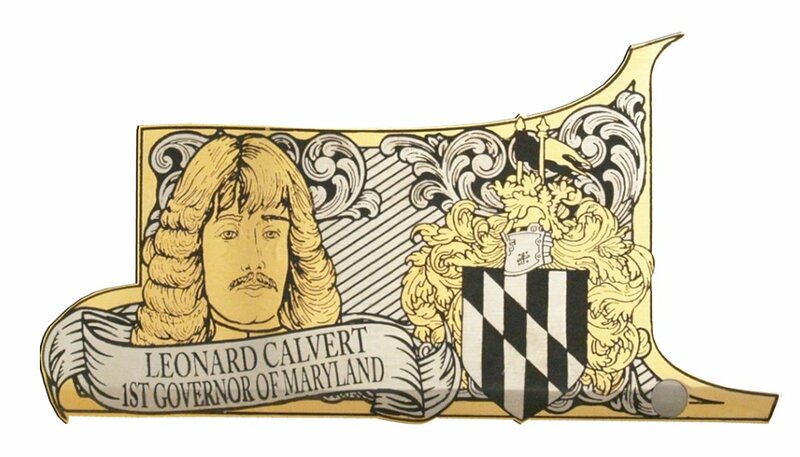 State of Maryland 375th Anniversary - Wellington LTD.
Leonard Calvert, 1st Governor of Maryland Leonard was appointed the colony’s first governor. He landed there in the spring of 1634, arriving with 17 gentlemen and their wives and about two hundred others aboard the ships Ark and Dove and establishing the town of St. Mary’s. 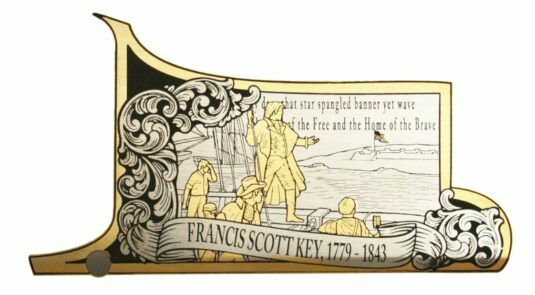 Francis Scott Key American lawyer, author, and amateur poet, from Georgetown, who wrote the words to the United States’ national anthem, “The Star-Spangled Banner”. Shortly after setting sail on the 22nd day of November, 1633, the Ark and Dove were swept by a terrible storm. 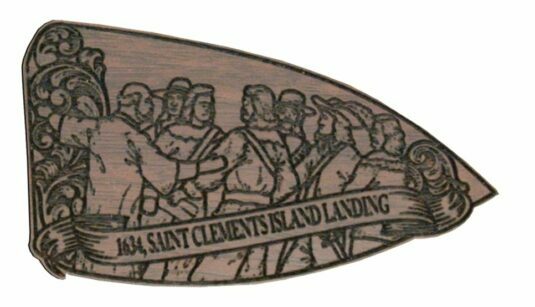 At a small island then called St. Clement’s (today called Blakistone) they went ashore, set up a large cross, and gave thanks for their safe arrival. 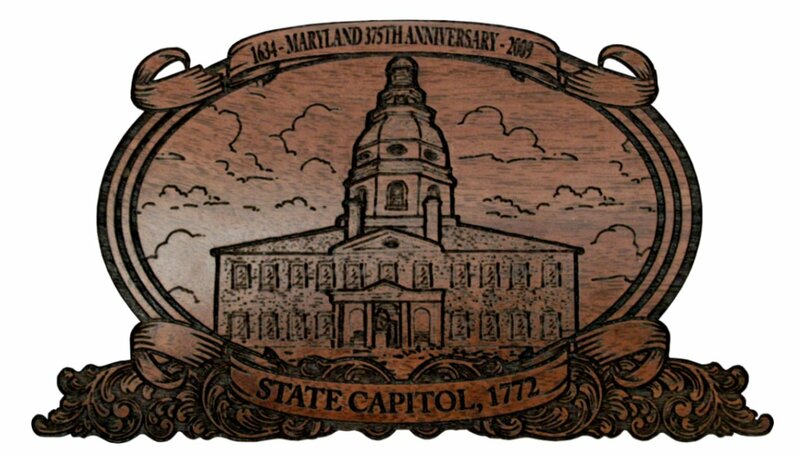 The date was March 25, 1634 which we celebrate today as Maryland Day. 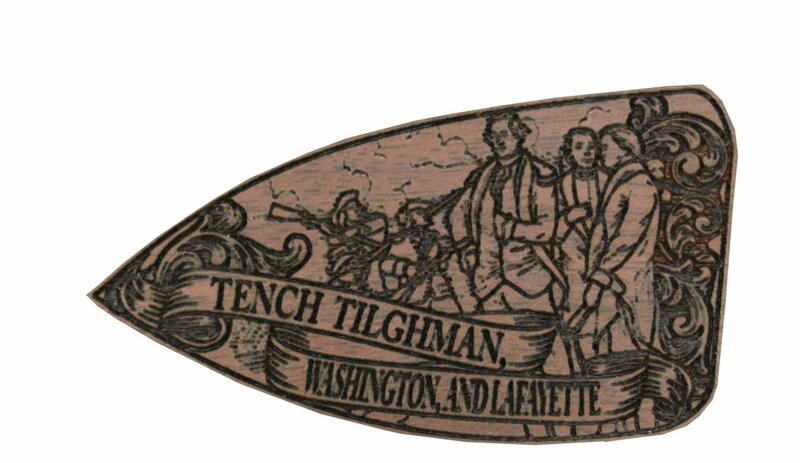 Lieutenant Colonel Tench Tilghman (December 25, 1744 – April 18, 1786) was an officer in the Continental Army during the American Revolutionary war and served as aide de camp to General George Washington. 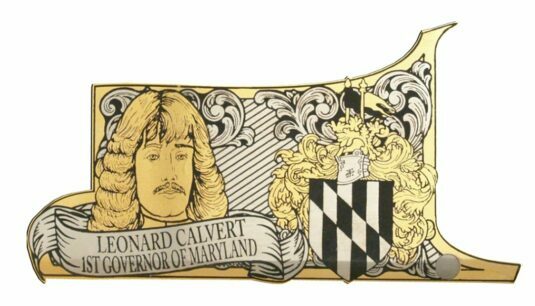 The settlement of Lord Baltimore’s Maryland began with the arrival of passengers from England at St. Clement’s Island in the Potomac River in what is now southwestern St. Mary’s County on March 25, 1634 (the anniversary of this landing being annually celebrated as Maryland Day). 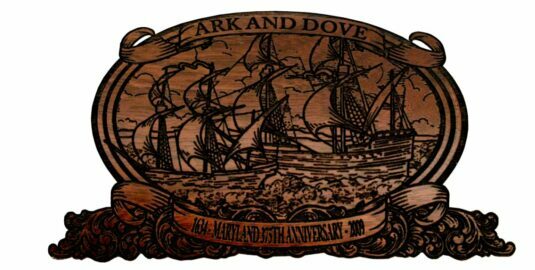 The passengers arrived in two vessels, the Ark and the Dove, which had set sail from the Isle of Wight on November 22, 1633. ONLY 150!! will ever be produced! Reservations are accepted in the order in which they are received. Place your order here or to find out more information, please call Jim Combs at (970) 215-0677.